The 2018 list of Defensive Players of the Year were announced Wednesday, and there’s some changes from last year. Each year the award (sponsored by Wilson) is given to the players that are the best in the league defensively. Some of those were helped by past last year’s winner being injured, such as Kevin Kiermaier of the Rays taking the place of Byron Buxton. Kiermaier also won in 2016. In other cases, players just stepped up and had a great defensive year. If you’re thinking “this kind of sounds like the Gold Glove Awards…” then you would be correct. It is kind of like that, except for this award uses “combines traditional defensive stats with advanced metrics” to decide who wins rather than a voting body of any sort. It’s all formula-based, and there’s only one winner per position rather than one for each league. Seven of the nine Wilson winners also won a Gold Glove Award in 2018. Simmons won his fifth Wilson defensive award in six years, while LeMahieu and Gordon each won their third honors. In addition to individual winners for each position, there are also Player of the Year and Defensive Team of the Year winners. 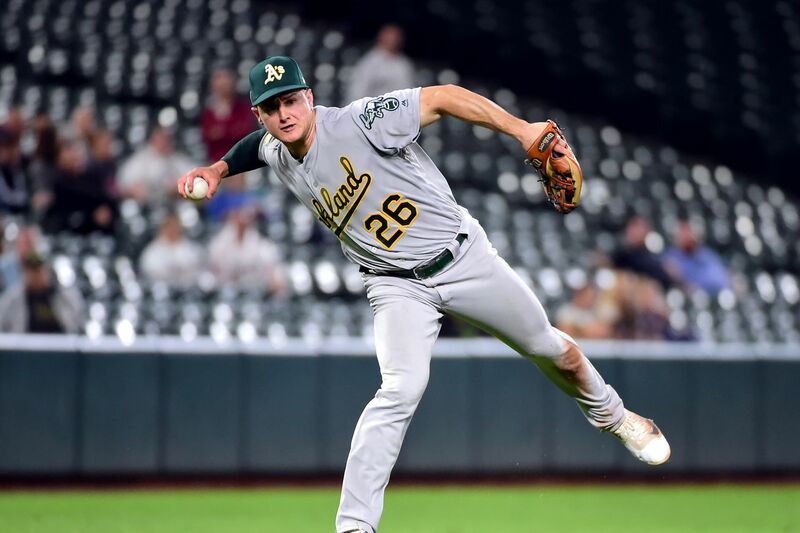 This is the first Wilson Defensive Player of the Year for Chapman, the A’s third baseman who led all major leaguer fielders with 29 Defesive Runs Saved, ranked fourth with 21 Total Runs Saved, and was seventh with a +10.9 Ultimate Zone Rating. The Diamondbacks were also named the top defensive team by Wilson in 2015.